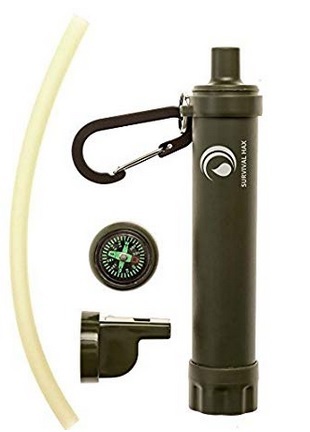 Survival Hax Water Filter Straw is a valid alternative to NDūR Survival Straw. While it is does not filter out and purify as good as an NDūR Survival Straw it still works plenty well enough to use during emergencies, disasters, and grid- down when safe drinking water is needed. 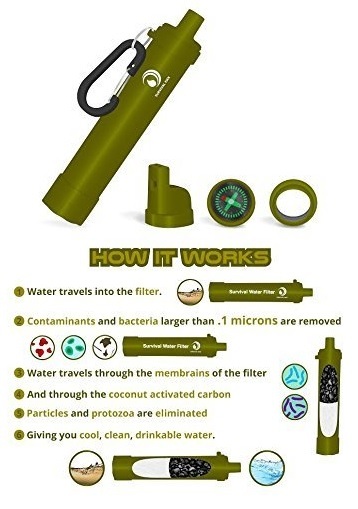 .1 MICRON PURIFIER removes dirt and contaminants from rivers, lakes, ponds, creeks, mud puddles, and third world tap water.And it also eliminates 99.9999% of parasites and bacteria. 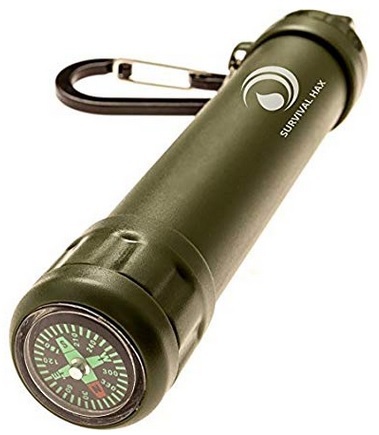 Purifier straw is 7.5 inches long and weighs less than ½ pound.Plus the straw comes with a carabiner, signalling mirror, tourniquet / extension tube, bear whistle, and compass. 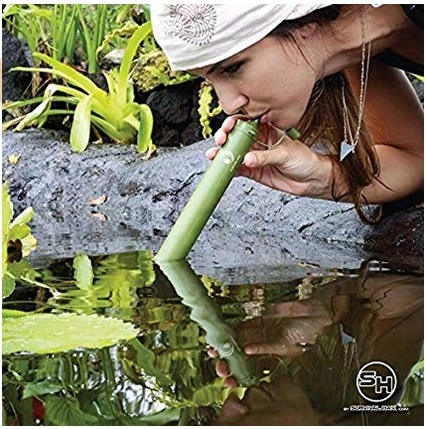 This personal water filter also receives a “buy” from me.